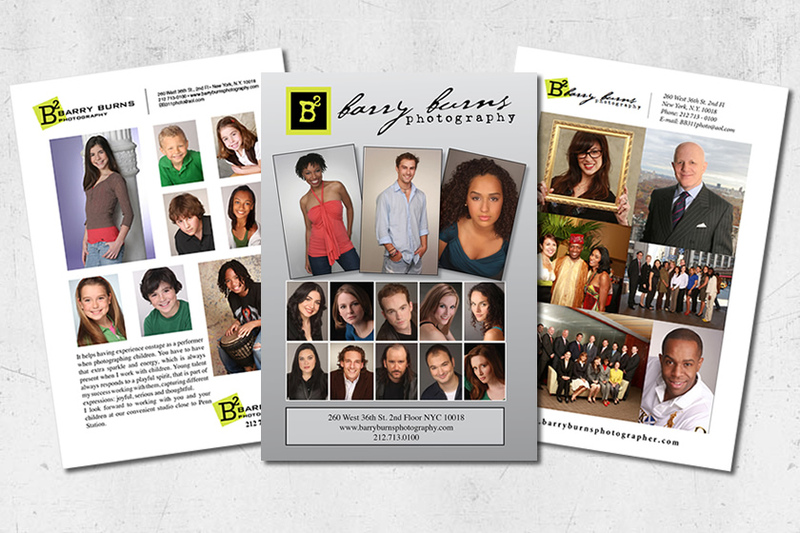 Barry's Photography is widely known in both theatrical and commercial circles as one of New York�s top headshot photographers, Barry works with actors to create photographs that are as outstanding as the talent that each of his subjects possesses. Corporate portraits convey the strength and success of each individual, while family portraits capture the love and communication between family members. Barry�s photography for Manhattan theatre has been published by the New York Times. Some of Barry�s clients include Tom Cruise, Melba Moore and other known talents. The process during the photo session is an ongoing collaboration between photographer and subject. The end result is a brilliant portrait with the art and creation coming directly from you, the subject. I find working with corporate photography clients to be especially rewarding. Having also directed theatrical productions on stage, I utilize this directional experience when working with corporate clients. It in turn has produced powerful business portraits; with a variety of emotion, both serious take charge, and relaxed smiles with natural eye contact that is real and direct. My sessions move quickly and naturally enable my clients to feel relaxed. It is always a great pleasure working with my corporate clients. Learn more about our NYCcorporate photography services. You have to have a sparkle and an energy that is always present in working with children. Children always respond to that extra playful spirit that is a part of my photography session. Parents are always invited and encouraged to be close at hand during the shoot. I love parents having a great time during the session, as I capture their children�s different expressions; joyful, serious, thoughtful, and more. I look forward to working with you and your children in my beautiful Manhattan photography studio. Learn more about our child photography services in Manhattan and throughout New York. My first wondrous experiences of photographing families took place in the New York City play grounds. No where else was there that unique opportunity, to capture the essence of parents and their children in an environment that is natural. I feel my portfolio of children classical setting in black and white, with the tenderness together with parents is some of the most fulfilling work I have accomplished with my photography. Also available are sessions in my beautiful studio, or your home. Looking forward to working with you. Learn more about our family photography services. Every actor has unique characteristics that have to be captured during their photo session. I help my clients relax and express themselves creating spontaneous moments, expressions, gestures, that reveal their distinct, dynamic and colorful personalities. Having directed actors on stage, I engage actors from a directional point of view. Actors are not distorted by age or type. When you get an audition from a Barry Burns headshot you�re right for the part. Knowledge with patience, being aware of my clients at all times, and receiving a consistent energy from me, is a must for a successful photo shoot and headshot. Learn more about our actor headshots.